Amazing blue eyes!!. 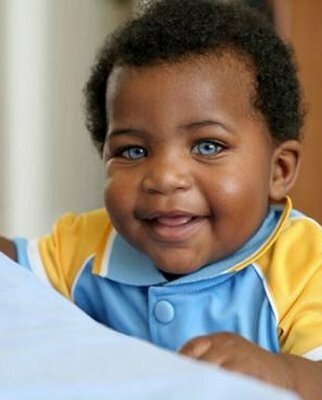 An African American child with a unique but gorgeous physical feature.... :). Wallpaper and background images in the babies club tagged: baby blue adorable gorgeous sweet cute. This babies photo might contain neonate, newborn, newborn infant, newborn baby, portret, headshot, and close-up.